You can be up and running in minutes with ready-to-use maps, apps, and templates that include your data. Easily create and share maps throughout your organisation. Access your organisation's critical location information from your desktop, browser, tablet, or smartphone-anytime, anywhere. 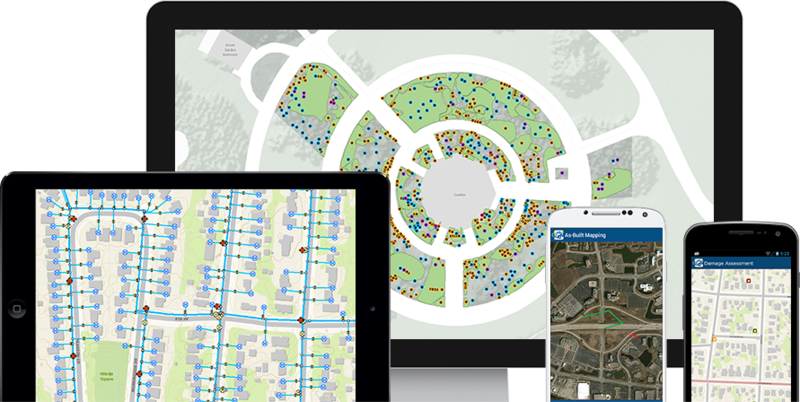 ArcGIS apps make you more effective and efficient, no matter your goal. They’re designed to guide you through specific tasks and get work done with the greatest ease and maximum benefit. They’re spatially intelligent. They come ready to work for you, with little to no configuration required, with or without an Internet connection. ArcGIS includes a Living Atlas of the World, comprised of authoritative maps and data on thousands of topics. Go beyond basemaps and imagery and explore maps about people and businesses, landscapes and the climate, transportation, and much more. With ArcGIS you can visualise large amounts of data and convey information in a way that’s more powerful than just words. Sharing your information visually with a map makes it easier for others to grasp your ideas. Bring your data to life with ArcGIS and tell the stories you want to tell. Our world is flooded with data, from social media to satellite data. How do you make sense of it all? Spatial analytics allows you to identify and quantify the implications, consequences, and impact of your decisions. ArcGIS includes everything you need to control and manage people and content. From assigning custom roles and privileges to managing licenses and content to viewing your system's health status. The administration tools ensure that you can use ArcGIS with confidence, while giving your users what they need to get their job done. 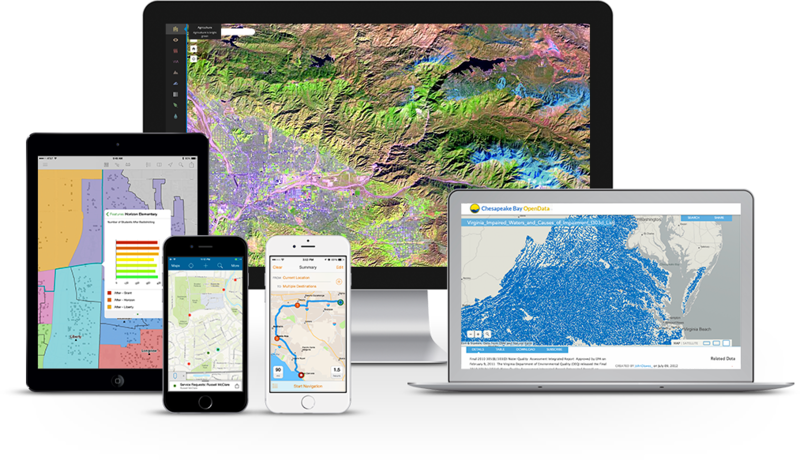 Your one-stop destination for apps and data services provided by authorized Esri partners, distributors, and Esri. Save time with maps, apps, and platform configurations specific to your industry. Use templates to configure ArcGIS applications, deploy web apps, and implement best practices. ArcGIS Solutions are available for a range of industries such as local and state government, emergency management, utilities, telecommunications, military, and intelligence. ArcGIS Online is designed as a secure system with controlled access. We are committed to continually advancing security and solidifying your trust through accreditations and operations. 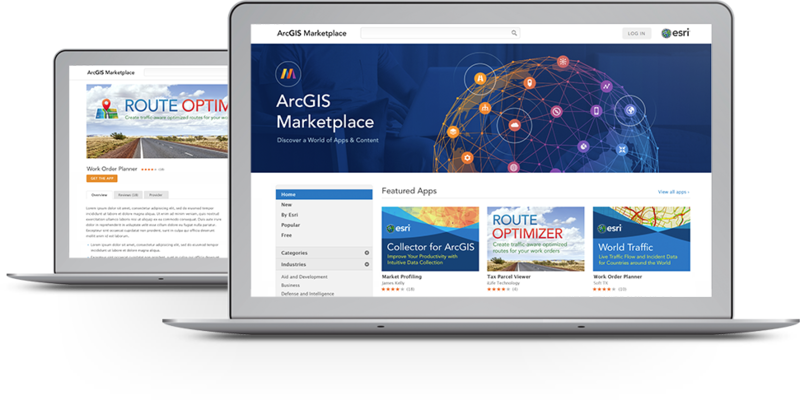 Trust.arcgis.com is your resource for getting the most up-to-date and comprehensive information on security, privacy, and compliance information for ArcGIS Online. You will also find security updates and alerts, best practices, system availability, and status history. 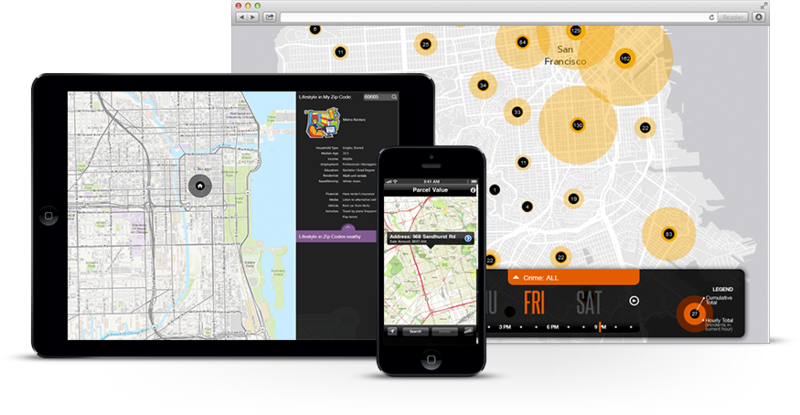 Quickly add 'geo' to your apps with Esri's cloud services. Develop in the API of your choice and deploy on any device.